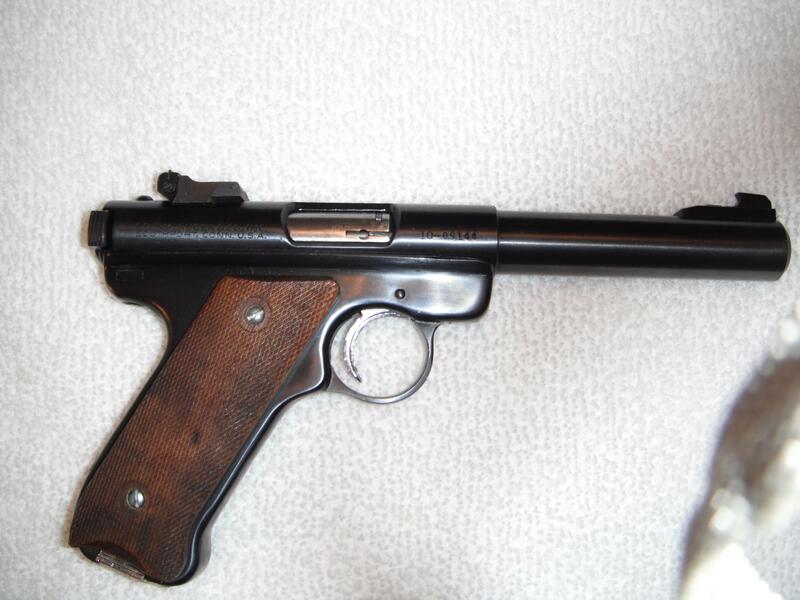 So I started out at seven years old with a Ruger Single Six, and then a Ruger Mk. 1. Loved them both but never owned either. 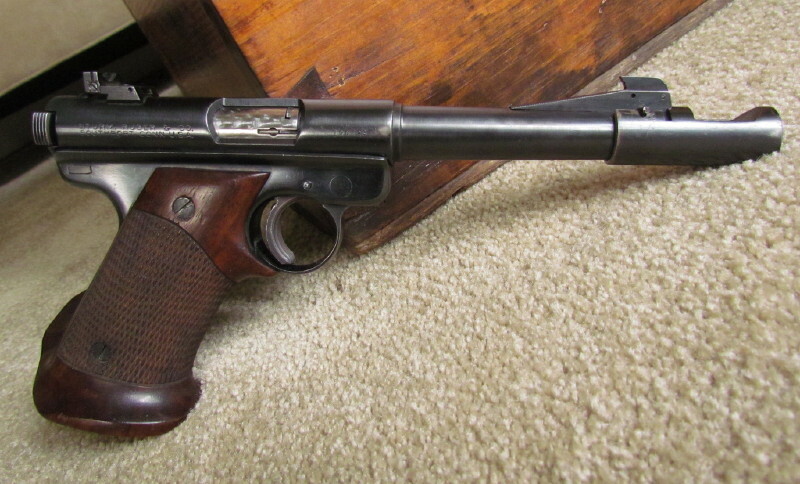 I got the revolver a few years back, but the Mk1 took a while to find, because I saw a slightly different one back in 1960 and decided it was the one. Turns out they didn't make a lot of this configuration, but I finally found one and it just arrived. Other than a few very small wear marks it's in very nice condition and the bore it great. So what makes it different than the common as muck Mk1? Well it seems to have been an effort to compete with a Browning Medalist and the like. 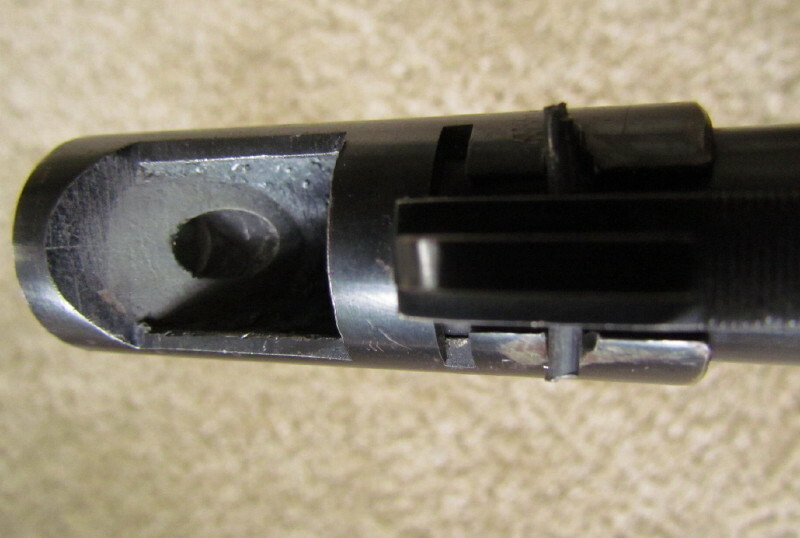 It came with Herrett target grips, a chrome based magazine, a higher end front sight with a long ramp, a barrel of 5 1/4 rather than 4 3/4 or 6.0, and an odd compensator that it Ruger branded. 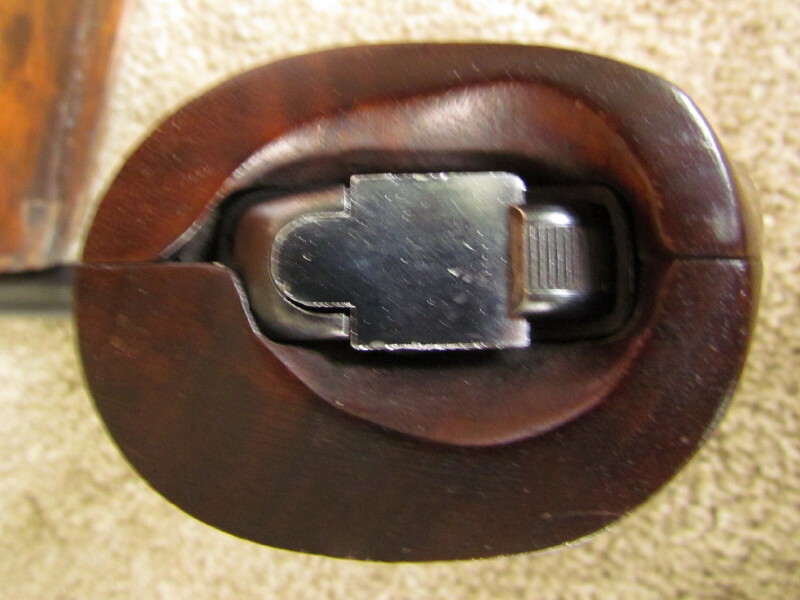 (they came unmounted so as to fit in the regular box) It also had hand finished bolt/slide and a trigger job. As near as I can tell this was a 1958-1961 package, but you could buy the compensator on its own for some time after that. Anyway, a humble little piece but very well made and a joy to shoot. 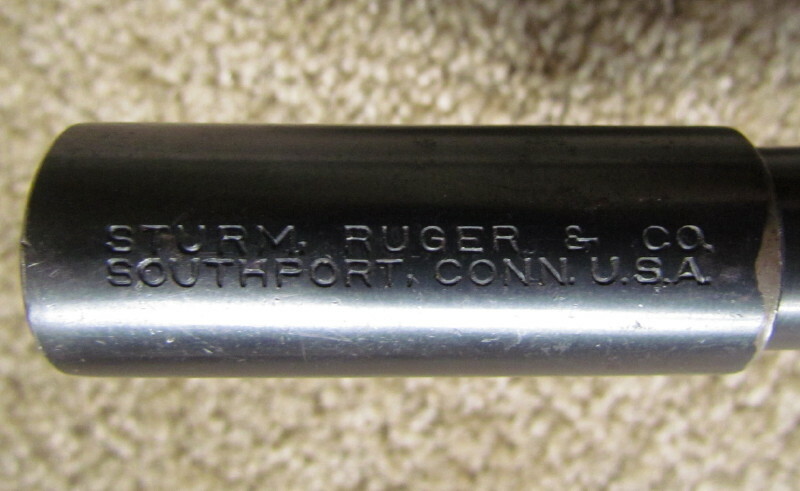 The beginning of the Ruger company and still in Mk4 form today. Cliff, Oldgungeezer, Curt360 and 15 others like this. Cliff, jonesy814, Oldgungeezer and 7 others like this. 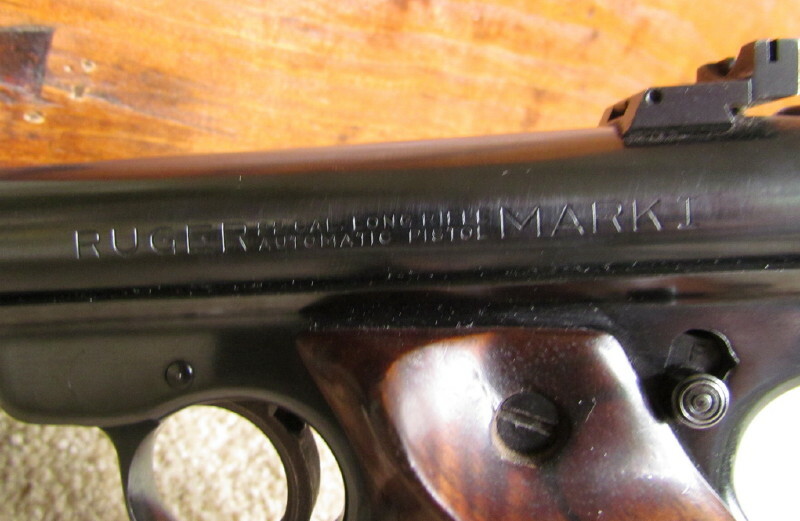 I still have the Mark I that I bought when I was 17 and I'm almost 70 now. I gave it to my wife and she keeps it handy (and loaded) in her drawer next to the bed. Mine is a short barrel, all stock wit the miserable take down lever. I never take it apart, just pull the plastic grips and give it a dunk in the ultrasonic cleaner. Easiest way to clean it. Shoots as good as when I bought it and it's dispatched countless raccoons, possums other vermin around the house. Likes everything but I like the Aguila Hyper Velocity hollow points that I don't believe you can buy anymore. I have a couple bricks of them in the powder room. No pictures but maybe I'll snap one. 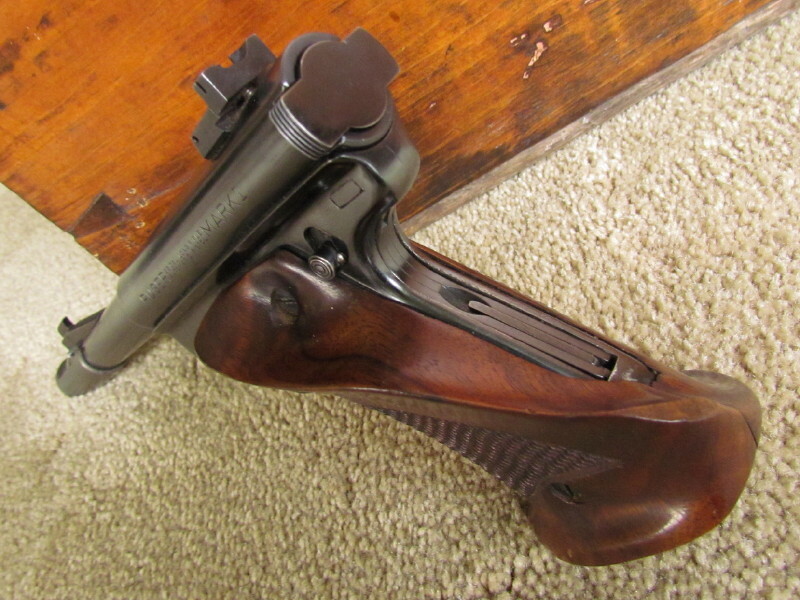 Resides in a Bianchi holster that I bought with it so the bluing has taken on a 'vintage' look. Brassmonkey, Cliff, Thewelshm and 2 others like this. Sweet! Congratulations on the find. Brassmonkey and jeepnut like this. Brassmonkey, Minorcan, jeepnut and 1 others like this. 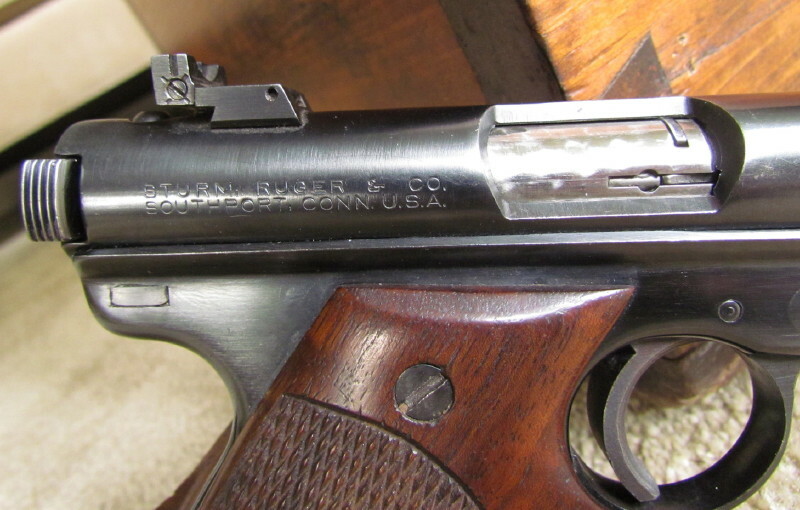 Looks like a great old Ruger target Mark I! Brassmonkey, jeepnut and Curt360 like this. Everything that happens is either endurable or not. If it’s endurable, then endure it. Stop complaining. If it’s unendurable . . . then stop complaining. Your destruction will mean its end as well. Congrats mate it looks “German “..
"Enjoy life your'e a long time dead"
Did you hear about the latest study.....5 out of 6 liberals say that Russian Roulette is safe. Ruger Super Black Hawk 44 Magnum 4 5/8" " Blue"
Ruger Black Hawk 41 Magnum 4 5/8" " Blue"
Very nice! When I turned 21 I went to the local gun shop and bought two MK1s. Kept one and gave one to my father. Along the line somewhere I traded mine off. Dad's was stolen by his drug addict neighbor. Dad never lost faith and kept the box and extra magazine. About 5 years later the police called and said that they had his gun. We went together and picked it up. When he passed it came back to me. Lot's of memories in that old .22. Thewelshm, Injunbro, Brassmonkey and 5 others like this. That is a really great story. Thanks. jeepnut and Curt360 like this. Very nice, I would like to know more about the open compensator. Here’s mine from the mid sixties. It has many thousands of rounds through it and is still an excellent shooter. It was used in competition for years. One of my favorites. It has plexiglass spacers from the canopy of a RA5C under the stock grips. Brassmonkey, jeepnut, Curt360 and 4 others like this. 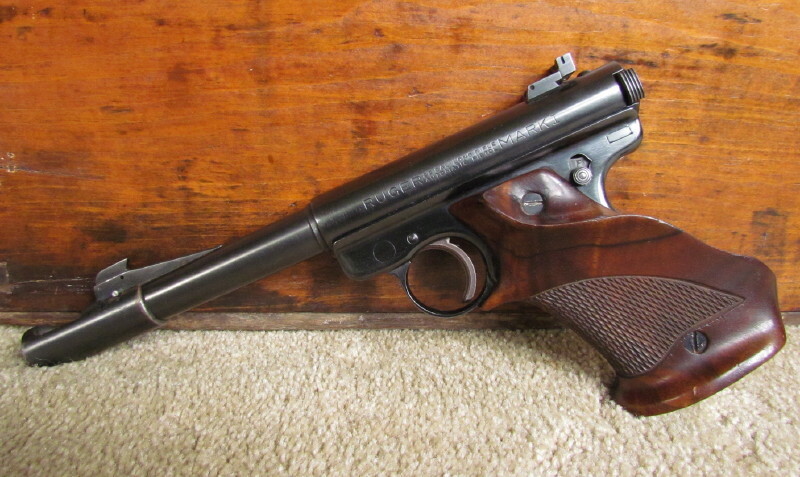 anyone here with a ruger mk1 ? Found my grail gun...sort of...but it works for me!